Cynthia is a powerful transformational speaker in the field of self-development and personal responsibility. She is also a renowned vibrational, intuitive energy practitioner, and Reiki Master and coaches hundreds of individuals who want to make changes, heal within, and achieve their goals and awaken their passions. She has been teaching and inspiring thousands for over 40 years and has created a best-selling transformational book, Powerful Beyond Measure – 3 Steps to Claim Your Power Within for a Happy and Healthy Life. She is also a featured author in the best-selling book, Shine Your Light: Powerful Practices for an Extraordinary Life along with other New York Times #1 best-selling authors including Marci Shimoff, Janet Bray Attwood, Chris Attwood and Geoff Affleck. 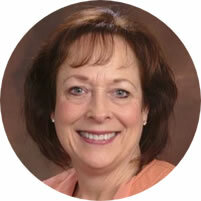 Mazzaferro is a featured columnist in the E-Magazine Wellness Woman 40 and Beyond founded by Lynnis Woods-Mullins. 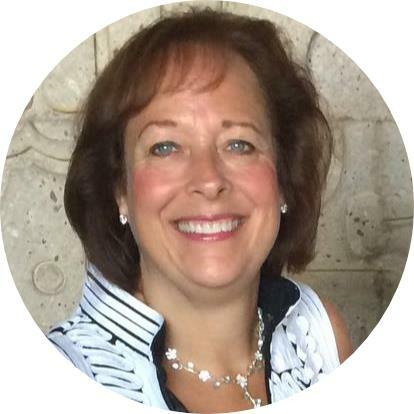 Cindy’s column, Powerful Beyond Measure: Intuitive and Emotional Fitness Expert allows readers to share their stories, ask for support and identify plausible connections between their physical symptoms, behaviors, and difficulties. Cindy holds numerous workshops and summits featuring The Power Within, Intuition, Energy Healing, and Powerful Beyond Measure programs. Empowering people is one of Cindy’s greatest joys, and she uses her expertise to inspire, transform, and facilitate change and success. Cindy believes that we significantly impact every part of our being on an emotional, mental, physical, spiritual, as well as, what we bring into our lives. What this means is that YOU hold the Power Within to be Powerful Beyond Measure and to create the life you want and were meant to live. The knowledge that you can create a happy and fulfilling life with abundance and success is the BEST NEWS, I can share with you. and I would be honored to be a part of that change. Students, clients, family, and friends have experienced profound, even miraculous results using this powerful, integrated system as well as Cindy’s unique intuitive and healing ability on all levels. Reading and participating in Powerful Beyond Measure, you’ll be able to heal your past, empower your present, and create a future that will bring you great joy, happiness, and peacefulness. During this process you will be able to identify your soul lessons which is what your soul has contracted to learn during this physical life. I have found that each of us have memories, beliefs, and behaviors that still impact our lives often in a negative way. This often keeps us feeling less than who we are and limits our potential and can even affect our health. Each one of us have specific soul lessons but I believe they all bring us to the greatest lesson to learn: SELF-LOVE. 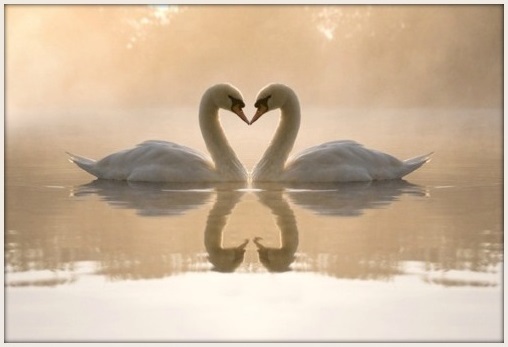 The simple gift of loving one’s self allows us to love one another even more freely. Looking at the past, as a private investigator, gleaning the possible lessons that presented themselves, and seeing the common thread, the repetitive nature, which has been present throughout your life is one of the most important aspects to identify. When you release these blocks, these false-hoods, accept and grow with your lessons your able to claim your Power Within, your true divine essence that brings clarity, focus, inner peace, joy, happiness, self-love and acceptance. Writing Powerful Beyond Measure has been a miracle that has been divinely infused with wisdom which has also impacted my life in so very many ways. Please accept my gift to you. I have found that there is nothing better than taking ownership, feeling empowered, and finding your true authentic self. When you start to believe in YOU, as this divine beautiful being that was born to play an integral part in this world, you raise your vibration, your understanding and come to realize your inner passion and life purpose. You can read many testimonies of powerful, life changing transformations within this website that may literally bring you to tears which demonstrates hope, healing and love. You do not have to feel alone, empty, lost, in pain and ____(fill in the blank)_____. Today is your day to decide that YOU ARE IMPORTANT and choose no longer to live a life feeling unhappy, under-valued, unappreciated, lonely, isolated, purposeless, passionless, judged, and unlovable. I would like to be part of your personal transformation and help you to see the wonderful, loving and very special person that YOU are. You deserve a wonderful, exciting, passionate, and abundant life so that you can fulfill your destiny too. As you continue on your spiritual journey be open to what comes into your life, synchronicity: of events, people, activities that all support learning your soul lessons, accepting your authentic self, and most important nurturing and cultivating your unique spiritual gifts that is aligned with your life’s purpose. Choose today to make a shift, look throughout this site for what resonates with you? 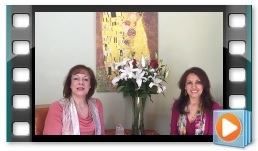 Watch the FREE video of Marci Shimoff and myself talking about the 3 Essential Keys to a Vibrant, Passionate and Empowered You! Enter your name and email address below. Decide to do more meditation and customize which tapes will fill your need to become still and peaceful for healing at all levels. Attend a Program that speaks to your personal needs: claiming your Power, Happiness and Love and changing your Perspective to Change your Life. Schedule a Reiki healing session in person or remotely to increase peace, vitality, open chakras, improve energy flow, decrease pain, stress, angry, hurt and so much more…. Step into a personal coaching team with Cindy to help guide you with the transformational process to achieve your greatest desires. It’s your higher-self trying to talk to YOU. I invite you to trust your inner voice. My journey consisted of overcoming feelings of rejection, abandonment and not being able to do enough, and understanding self-love as the ultimate gift you can give yourself. If I did not walk my walk, live my life, and go through my struggles than I could not have learned my soul lessons, acknowledge my gifts and ultimately find and embrace my life purpose. I feel so blessed and humbly accept the work, I now know and fully embrace as my true soul purpose work. God the Universe brings to me those individuals that need to hear my message (his message) of divine self-love and the path to receive healing, joy and happiness on all levels of your life. During the last 30 years, I have seen first-hand that our physical symptoms are often a result from a deeper level of dysfunction. Energy is in all matter, its pure existence whether a breeze, spoken word, thoughts, actions, everything, has an energetic imprint which has an interaction within our self and everything we come in contact with. Everything in your life is inner-connected and when you embrace that connectedness; YOU can start to see and understand their roles which allows for you to experience a deeper love, passion and purpose that supports the life you were meant to live. Everything in life is energy, and each of us want to be seen, felt, heard, loved, and valued. I invite you to believe in yourself, see this as a time for YOU, to awaken and see your authentic self and love your divine being so that you can use your gifts and touch the world as you were born to do. I am here ready to guide and support YOU.